Gift of Mrs. Gertrude W. and Seth Dennis. Inscribed in pen and gray ink, at lower left, "Wattaux". Sir Frederick Wedmore (no mark; see Lugt 1053); Mr. and Mrs. Seth Dennis, New York. 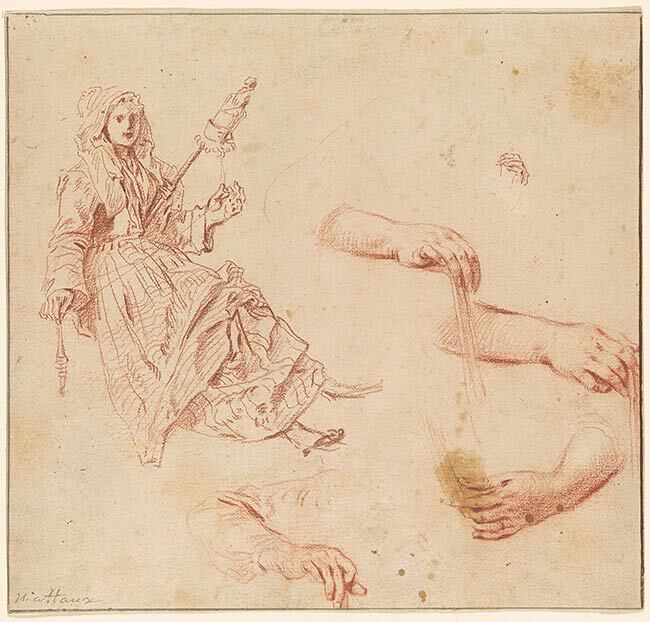 This is a preparatory drawing for the main figure in Watteau's painting "L'Indiscret" (Museum Boymans-van Beuningen, Rotterdam), variously dated between 1713 and 1715.